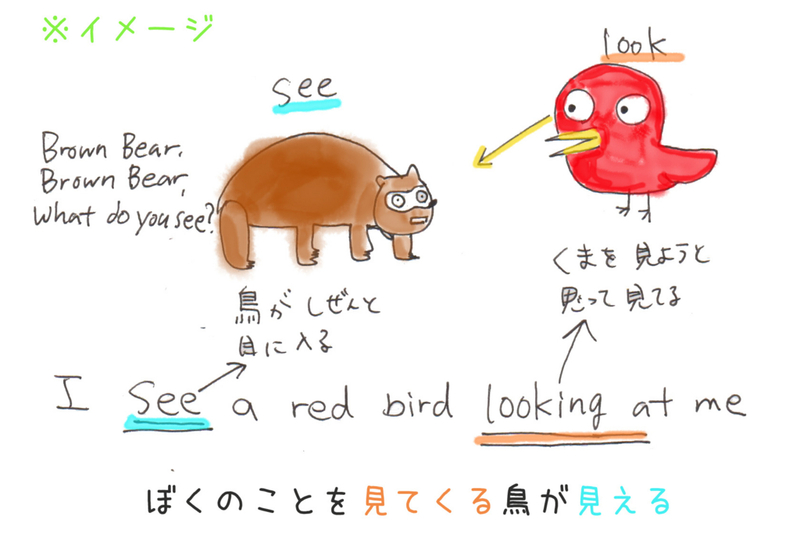 こども英語絵本のオススメ Brown Bear, Brown Bear, What Do You See? I see a red bird looking at me. We use look to talk about concentrating, paying attention, trying to see what is there. Watch is like look at, but suggests that something is happening or going to happen. We watch things that change, move or develop.